Wine of France. This is a medium-bodied Claret, made from the classic Bordeaux blend of Cabernet Sauvignon and Merlot grapes. The wine is a fine, deep, ruby-red colour and offers aromas of blackcurrant, cranberry and cedar on the nose. The palate has a generous, soft texture and good balancing acidity, which makes the wine a great partner for lamb, stews, game and cheese. 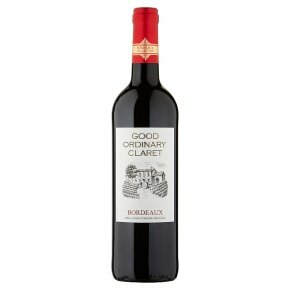 This softer style Claret is made for drinking relatively young and does not require further bottle maturation.